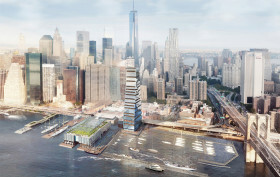 After a long-planned but never executed plan to develop buildings at 80 South Street and 163 Front Street in the South Street Seaport, the site’s owner has officially filed demolition permits at both buildings, Curbed learned. As 6sqft previously covered, the Howard Hughes Corporation sold 80 South Street to China Oceanwide Holdings for $390 million last March. 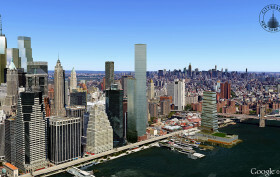 Although the developer hasn’t released construction plans yet, the building is expected to be 113 stories tall, reaching an impressive 1,436 feet (to give you an idea of just how tall this is, 432 Park is 1,396 feet tall, and One World Trade Center is 1,368 feet tall by roof height). 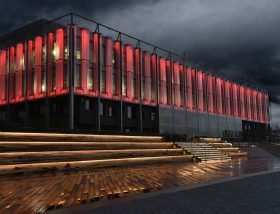 Though they didn’t have much luck with their controversial tower at the Seaport, SHoP Architects and the Howard Hughes Corporation have gotten approvals for their revamp of the historic, 1983 Fulton Market Building. 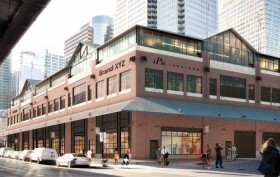 Yimby reports that on Tuesday, the Landmarks Preservation Commission approved the revised design for the building’s exterior, which alters the signage from the original 2014 proposal. 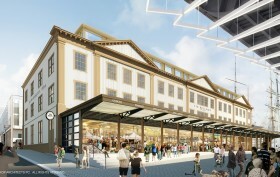 To show how the signs will look, SHoP prepared several new renderings of the site. 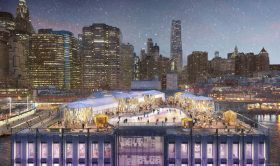 The long-plagued condo tower designed by SHoP Architects for the Fulton Fish Market site at the South Street Seaport has been nixed, according to statements made by the Howard Hughes Corporation at a community board meeting last night. 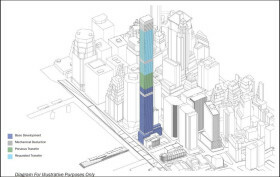 DNAinfo, who first reported on the fate of the 494-foot tower, says that the developer will instead construct a “not tall” commercial building at what’s now known as the New Market Building site.